Every Flow Wall system starts with the WALL PANEL. 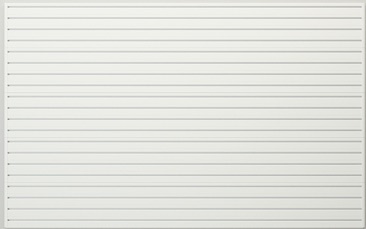 All the other Flow Wall components click into the WALL PANEL. Our patented panel is the perfect foundation for your home storage solutions. Featuring our unique click-in design, our system allows you to customize your space to fit your storage needs. Easy to install and maintain, our panels grow as your storage needs grow, clearing clutter off your floor with wall mount storage. Our cabinets and drawers are constructed form a high density press board with textured PVC laminate, with doors constructed from a high quality MDF. Carbon Fiber doors are wrapped in a textured finish that enhances the leading-edge design of our systems. Our cabinets provide great overhead wall mount storage. These 26-inch high wall mount cabinets include an adjustable shelf to fit all of your miscellaneous items. 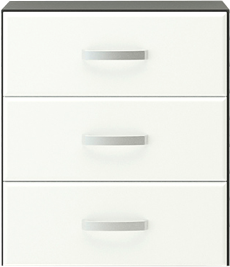 Our Drawer Cabinet has three deep drawers to make the perfect solution for wall storage. Each drawer holds up to 50 lbs, making it the perfect solution for tools, toys, and more. Jumbo Cabinets keep your gear off the floor and behind closed doors with maximum storage space. This 72-inch high wall mount cabinet includes four adjustable shelves to fit all of your storage needs. 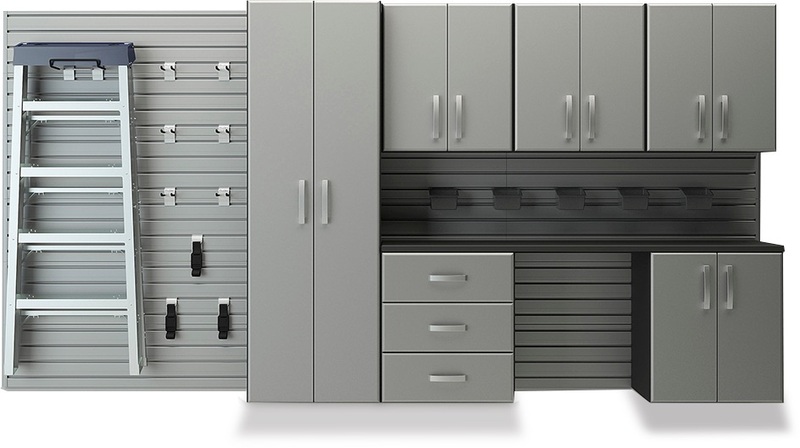 If you’re looking for a way to conceal the clutter in your garage, Flow Wall has excellent cabinet and drawer storage options to do just that. Regardless of whether you prefer cabinets or drawers, both come in a variety of sizes, making it easy for you to find one that fits your budget. 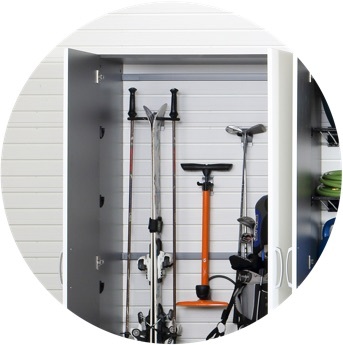 At Flow Wall, we make it easy for you to find solutions to fit your garage storage and organization needs. Hanging your gear and equipment is easy with our patented click-in-hook system. To use, simply slide the upper half of the hook underneath the groove of the panel, and aim down as you push the bottom half into the groove below until you hear it click in. 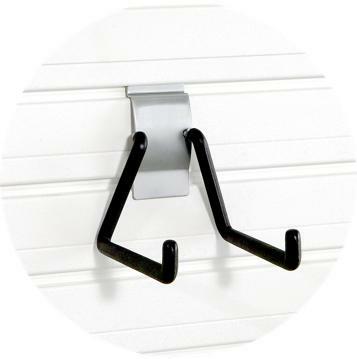 If you want to change the placement, simply push up on the hook to snap the bottom half out, and move or slide the hook to the desired location. 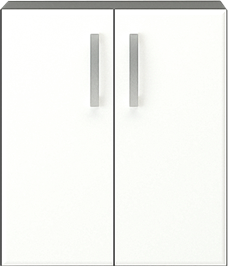 Our cabinets feature soft-close hinges to avoid slamming doors. 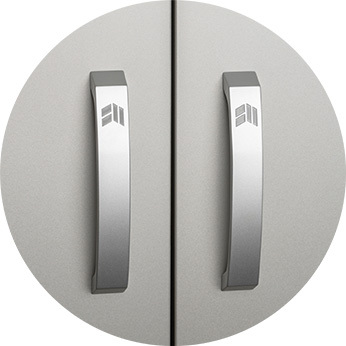 Sturdy metal handles, embossed with the Flow Wall logo, grip easy to give a smooth flow when opening and closing the doors. Check out our quality products by ordering our free sample kit! Flow Wall is the most effective way to organize your garage, laundry room, tool shed, and more. With our innovative designs, you can create a custom storage space that will help you eliminate clutter, organize your belongings, and more easily find what you need. You can purchase our cabinets, shelves, and bins separately, or get the whole package with our lifestyle and starter sets. Not sure where to get started? Our planning guide will walk you through the process of identifying your storage needs, measuring your space, and finding the right storage equipment for your needs. We’re here to help you make the most of your space.